Excellent for any Small Platter. 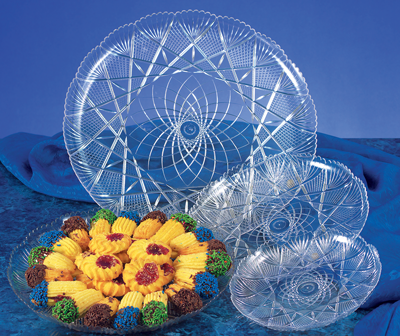 Makes a great Plate for Individual to gather snacks from Buffet. Sturdy, won’t Bend or Leak on you. Great for Picnics. Good because it is reusable. (W) 7" x (H) 3/4"